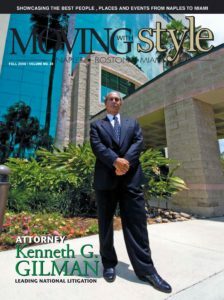 Attorney Kenneth G. Gilman is a graduate of Suffolk University Law School (J.D., 1979) and Boston University (B.A.,1976). Mr. Gilman is a member of the bars of the Commonwealth of Massachusetts, the State of Florida, the U.S. District Court for the District of Massachusetts and the U.S. District Court for the Southern District of Florida. He is a member of the Massachusetts Bar Association, the Florida Bar and the American Bar Association. Mr. Gilman has served, and currently serves as lead or co-counsel in various types of complex litigation, including cases in the areas of antitrust, consumer protection, insurance, dangerous and defective products, environmental law, personal injury and securities fraud. 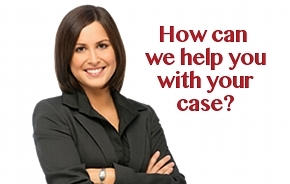 Representative cases which have produced significant legal developments, include: Sebago, Inc., et. al. v. Beazer East, Inc., et. al., No. 96-10069- Wolf (D. Mass.) (Nationwide Class Settlements with two manufacturers of phenolic insulation with a value in excess of $240 million; 18 F.Supp.2d 70 (D.Mass. 1998); Coleman, et. al. v. GAF Building Materials Corporation, No. CV-96-0954-Galanos (Circuit Court of Mobile County, Alabama) (Nationwide class of persons who owned properties with GAF defective roofing shingles with settlement value in excess of $75 million); In re: Louisiana-Pacific Corporation Inner-Seal OSB Trade Practices Litigation; Ciardi v. F. Hoffman-LaRoche Ltd, et. al.,(Civil Action No. 99-04044, Middlesex Superior Court Department Mass. ), (a case that created new law in Massachusetts conferring standing upon indirect purchasers for claims of price-fixing or other anti-competitive conduct. Settlement funds obtained of over $22.5 million); Michaels v. Phoenix Home Life Mutual Insurance Company, Index No. 5318-95 (N.Y.Sup.Ct. Albany County) 1997 N.Y. misc. LEXIS 171 (1996); Agnes v. The Enstar Group, Inc., et. al., 90-C-1204-N (M.D. Alabama)(Settlement obtained of over $23 million); In re Hallwod Energy Partners L.P. Securities Litigation, 90-Civ-1555-JFK (S.D.N.Y. )(In which a $9.1 million settlement was obtained after five years of intensive litigation arising out of a complex oil and gas merger; Sullivan, et. al. v. Shearson California Radison Plaza Partners Limited Partnership, et. al., No. 89-5472 (C.D.Cal. )(Securities fraud action resulting in settlement in excess of $11 million); and Alert Income Partners Securities Litigation, No. 92-2-9150(D.Colo. )(Securities fraud action resulting in settlement valued at $60 million); Many of Mr. Gilman’s cases have produced significant legal developments, including In re Blech Securities Litigation, 961 F. Supp. 569 (S.D.N.Y. 1997) and 2002 WL 31356498 (S.D.N.Y. Oct. 17, 2002)(liability of a clearing broker as primary violator for a scheme initiated by one of the clearing broker’s correspondent broker-dealers) and Weld v. Glazo Wellcome, Inc., 434 Mass. 81, 746 N.E.2d 522 (2001)(certification of class action against several defendants engaged in parallel conduct where certain defendants had no contact with the plaintiff and engaged in no conduct which directed affected the plaintiff). Mr. Gilman was previously associated with Gilman, McLaughlin and Hanrahan in Boston, Massachusetts and with the firm of Blackwell, Walker, Gray, Powers, Flick and Hoehl in Miami, Florida. In 1985, Mr. Gilman was appointed by the United States District Court for the Southern District of Florida as the Equity Receiver in the Intercontinental Commodities litigation. During the period from 1980 through 1984, he also participated as counsel to the Equity Receiver in the nationwide Lloyd Carr and Company commodities fraud litigation. In that capacity, he prosecuted complex litigation in Federal and state courts in Massachusetts, Michigan, and Florida, resulting in significant recoveries for defrauded investors. Also as part of this litigation, Mr. Gilman acted as special counsel for the Department of Justice.